Randy Gage, also a star of the film answered the question of who this film is built for and who can expect results from it. 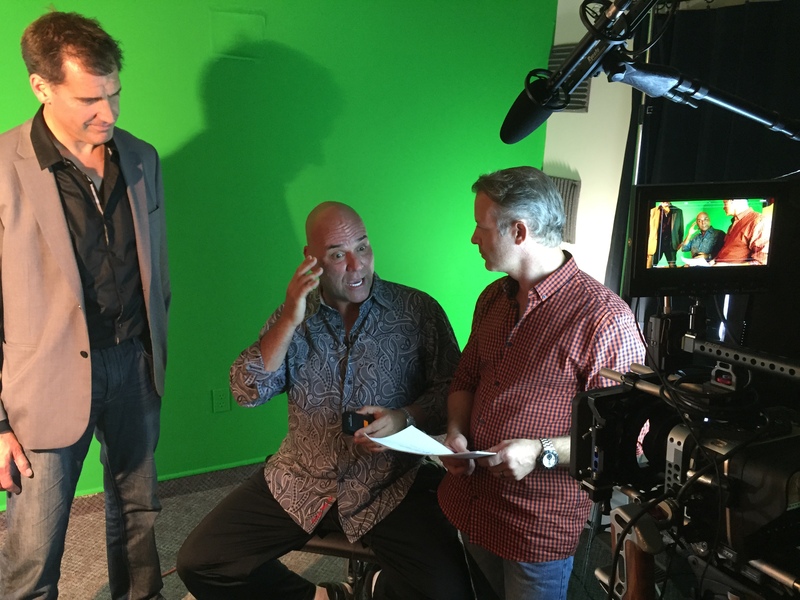 “Anybody can create prosperity and theres never been a better opportunity than right now.” “Now is the time and this is vehicle,” Confirmed the world’s greatest hypnotist Marshall Sylver who rounds out the cast. Some of the other notable members include experts who have made their fortune in real estate, investing, business and even capitalizing on their own intellectual property. The Official release date of the film is September 28, 2015. The film will screen in select cities from that date forward. to find out how you can see this fortune changing film go to the official website. 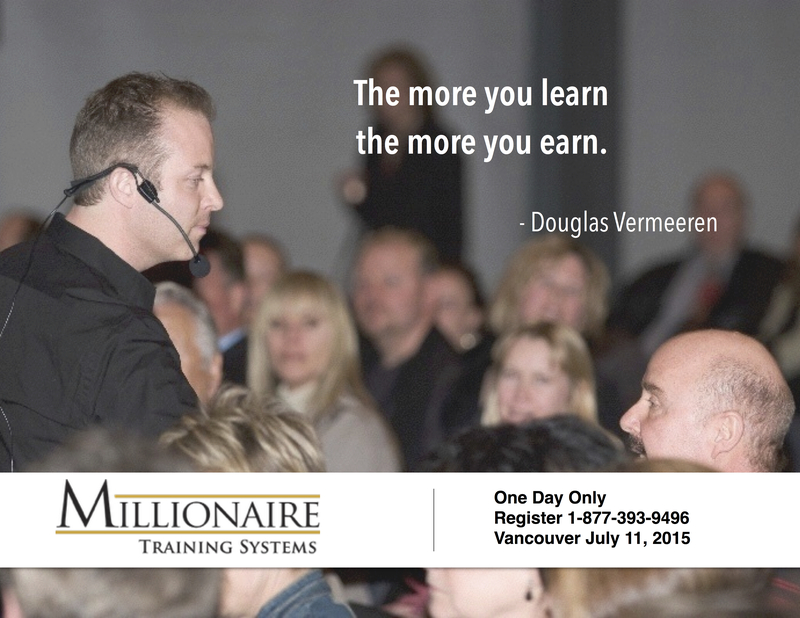 Millionaire Training Systems coming to Vancouver August 26th. Over the last decade I have had the opportunity to spend time with several millionaires and billionaires. 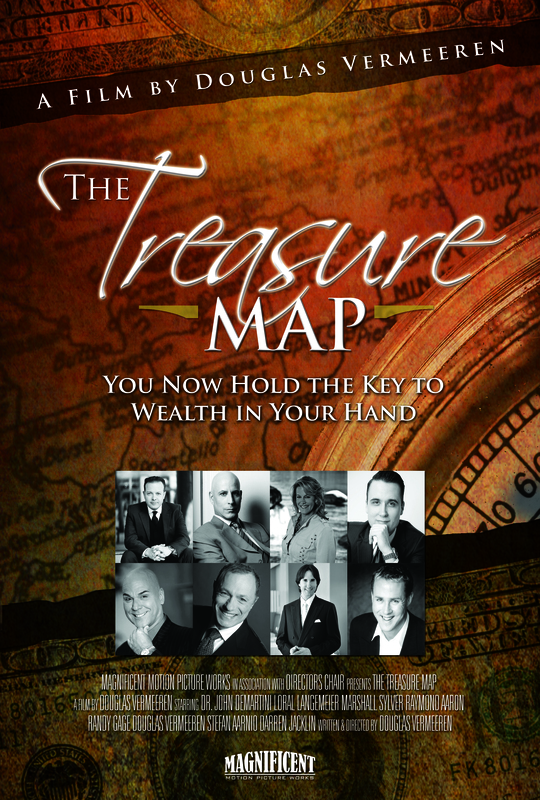 As I made the movies The Opus, The Gratitude Experiment, The Treasure Map or doing research for some of my books I have had the opportunity to extensively grill these financial superstars about how they got to their financial independence. I have learned a lot. In fact, as I have applied many of the lessons that they have shared I have been able to create abundance and financial freedom in my own life. Several of these lessons have made it into the projects as described above but of course how can you possibly share everything in one project? It’s impossible. 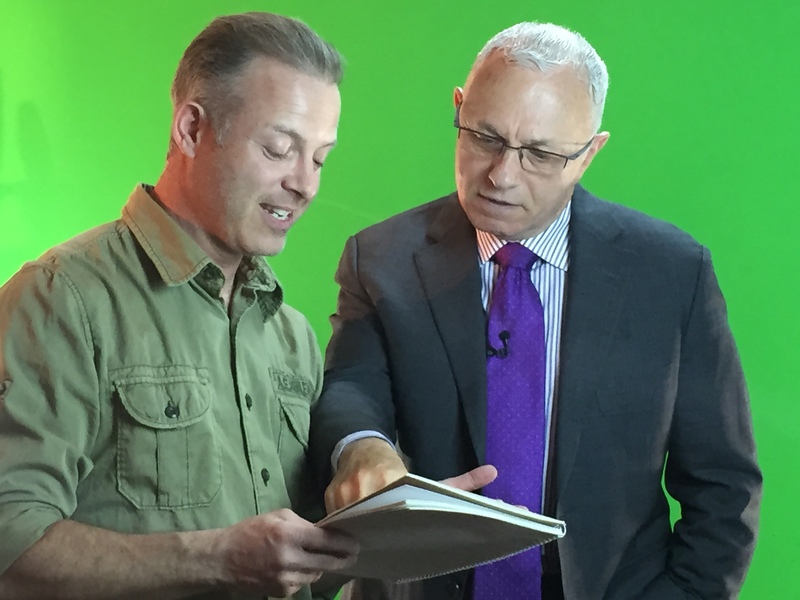 Probably the most comprehensive outline of what I have learned so far was published in my book with Jay Conrad Levinson, Guerrilla Millionaire – Unlock the secrets of the self-made millionaire or in my Dummies book – Self-Made Millionaires for Dummies. However even those books are incomplete as there are many things which I learned and continue to learn from these mentors that shape my financial life regularly. I guess that would be the one thing that we could talk about in this article: The importance of continual learning. If there is one thing that I have observed more than any other attribute among the wealthy is that it their desire to understand and learn everything they can about the issues they are involved in. I once sat in Bill Farley’s living room and observed this situation first hand. For those who don’t know Bill he was the former CEO of Fruit of the Loom and at one time an owner of several other companies and brands that most people would know. Brands like Anaheim Citrus, Acme Boot Co., and at one time was a partial owner of the Chicago White Sox baseball team. So we were spending some time in his living room when his assistant along with a few team members came in to discuss a few pressing business issues. They asked him a few questions which most people would have simply answered and moved on. But that’s not what he did. He took a moment and talked with the group gathering their thoughts, expertise and opinions. Now armed with all the facts and possible solutions which they had brought forward he rendered a decision. That day I understood that the best way to create wealth in a company was to be sure to use your assets which included the brains of those around you. In my personal business dealings with him I found that he always operated in a similar way. He would always have other experts involved in gaining answers to areas where his experience was limited. 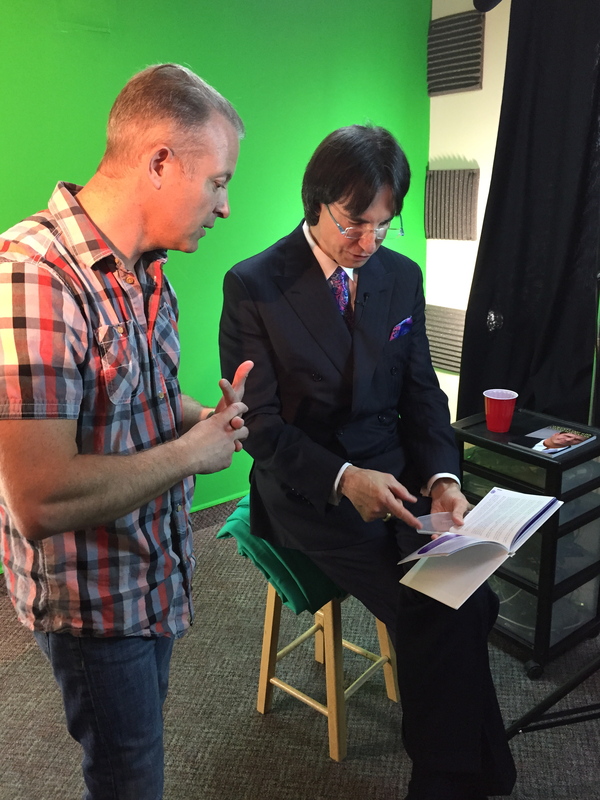 Every effort was focused on gathering insights before an action or decision was taken. But having said this I want it also to be clear that in no way did he, or anyone else I observed doing this, ever take a long time to make a decision. They never became victims of analysis paralysis or over analytical processes. They quickly gathered what they needed to know and then pulled the trigger and got it done. Surrounding yourself with the right people is a powerful way to learn. Naturally this can be done by attending classes, seminars, networking events, charity events, fund raisers and gala events where you have access to new mentors or coaches. These kinds of activities or events are also brilliant locations to meet people who are interested in creating the same financial situations that you crave. It may be tempting to say that you a re broke and that you can’t afford a ticket to attend such events. However, I have found if you only stick to the least expensive events you will only be connecting with others who are broke. In order to make friends and form relationships with those who you can learn from, you have to go where they go. And a $10 breakfast meeting generally won’t do it. Not too long ago I had lunch with Bill Bartmann. You may know Bill, he was featured on the cover of Forbes magazine in 1997 as one of the 400 richest men in North America. At the time Forbes estimated his wealth to be between 2.4 and 3.5 billion dollars. As we sat down he simply ordered a burger, fries and a coke. One of the best lessons that he shared with me over our lunch was to always invest a portion of my income back into developing myself and learning as much as I could about my industry and business. Money comes to those who understand it and value it most. Innovators become wealthy. But you can only improve on what you already understand. It’s like learning how to play basketball. You can’t do a trick shot until you’ve learned to dribble. Basics come first. And one of the reasons so many people are broke is that they haven’t even gotten a grasp of the basics. So get learning! Learn everywhere you can and from everyone you can! Put a plan in place to start dedication a portion of your income to growing yourself and your bank account. The more you learn the more you will truly be able to learn! Is there a pattern that rich people understand? 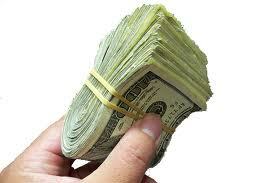 Are there clues that they leave behind that anyone can apply to become financially free? Douglas Vermeeren thinks so. Over the last decade he has conducted research into wealth creation, financial freedom and the lives of top achievers in this area. 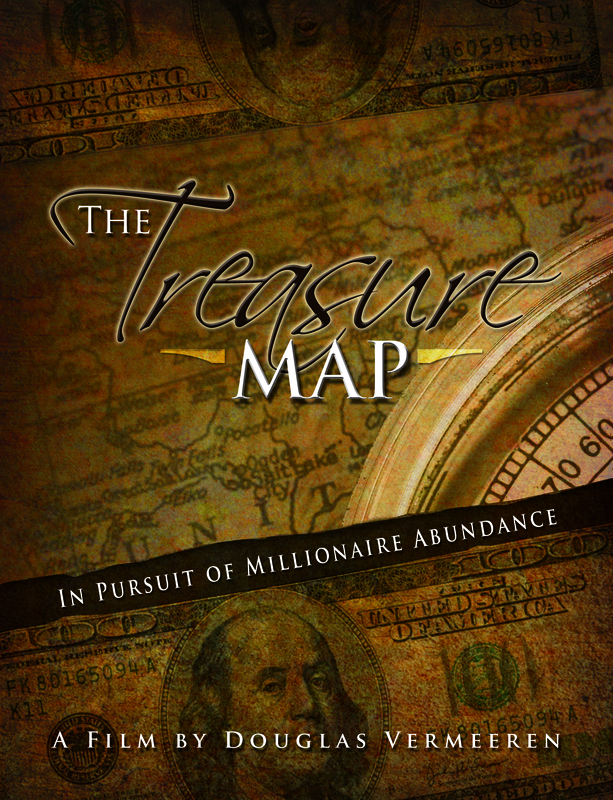 He believes that there are a handful of hidden keys and concepts that are keeping people everywhere from creating untold wealth and abundance in their lives. Without these missing elements, no matter how hard they work, or how valuable their business ideas are or even how much they save for the future MOST PEOPLE WILL NEVER BE RICH! What you understand about money determines what doors you can open to make more. 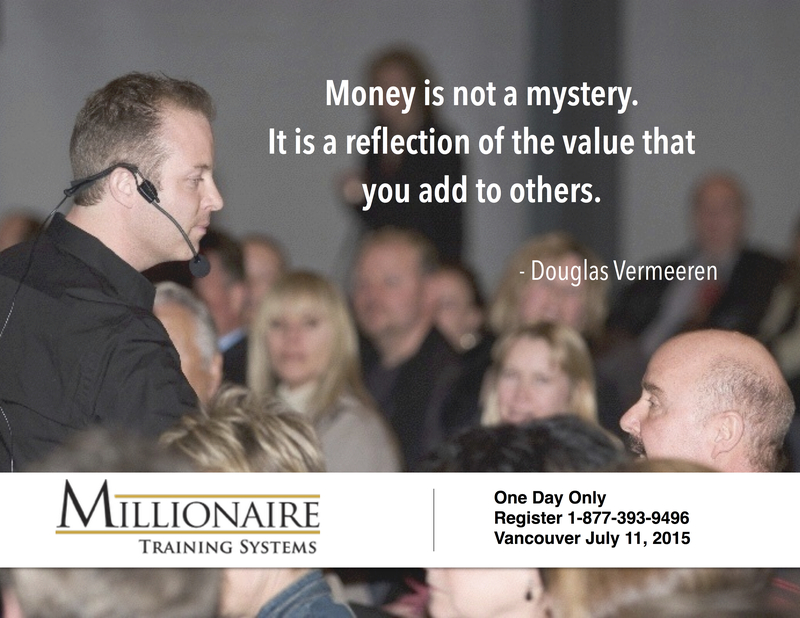 Will you open the door to more on July 11 in Vancouver?